The world is changing. All color is diminishing and everything is getting grey. With it life is getting dull and meaningless. The VOID is taking over. But there is still hope! Guide a soul sphere to restore the balance and bring the color and joy back to the world. 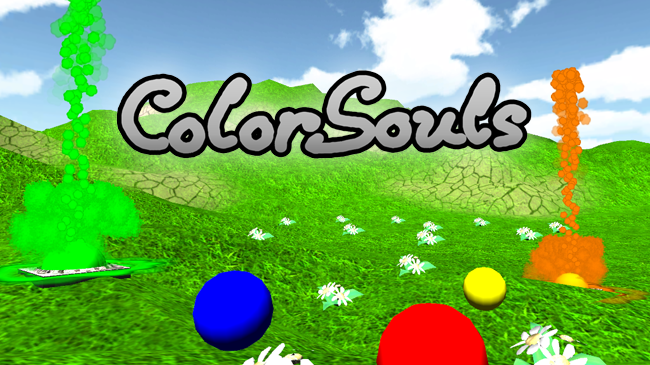 „Color Souls“ is a complex puzzle game in which you have to solve color puzzles in mini golf like mazes. “The Bismarck” is a board game with multimedia support. You play the role of four daring British soldiers exploring the said-to-be-sunken ship Bismarck. The players fight their way through hordes of dark creatures in tactical combat encounters, while advancing deeper into the belly of the cursed ship. Fukyuu is a third person multiplayer beat-em-up game. The game was developed as the 4th semester project in Digital Media. We worked in a team of four people. Markus Filsinger created environmental props, Matthias Trumpfheller was responsible for level Design and Stephan Pfisterer worked the animation for the main character. I was responsible for programming and adjustments of the game engine. We all contributed to the design of the game mechanics. „Wetten“ is a classical boardgame. You play a visitor of a horse racing track, who is trying to make money by betting on the races. Of course, when much money is involved, no one plays fair.